We understand the dangers of getting scammed online when purchasing equipment from websites. At HVAC Direct we make sure your money is safe when you complete a transaction on our website. PayPal is also an option for a more secure payment measure. Consider updating an older unit; it may be costing you or a family member more money each year then you think. Whether it is for yourself or as I said above, a family member as a gift, you can buy high quality branded equipment like Goodman Air Conditioners and Goodman Furnaces. Choosing a new Heating and Cooling Unit is something that you can do with our help. As always, we make sure you are buying high-quality products at a reasonable price to avoid overpaying. 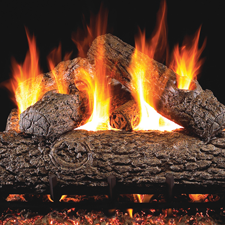 Keep yourself, friends, and families warm with our wide array of choices of furnaces. Our Goodman Furnaces and Carrier Furnaces whether electric or gas should surely fit your needs and your budget. If you want or need us to give your HVAC Unit a checkup and add simple home enhancements to help your air conditioner perform at its peak, we can do that. This will keep your unit running efficiently and effectively. We provide professional advice on standard and customized HVAC needs anywhere in the U.S. If you have any questions, concerns or inquiries, you can contact us toll-free at 800-397-1392. What You Need for a Multi Zone Mini Split!